Fell End Nature Reserve is now open to both our guests and to the general public, complimenting the Arnside and Silverdale area of outstanding natural beauty. Among the protected wildlife spotted at the nature reserve are owls, marsh harrier, birds and deer, all of which have been spotted from the John Wilson Hide. A unique award winning experience, England's last remaining working slate mine and England's very first Via Ferrata!!! With its warm waters, wave machine and 'black hole' flume there is fun for all the family. Over 100 buildings made from local Coniston slate. Houses, farms and barns create the Lakeland landscape. There are water features throughout the miniature village. The Oriental Building, which is our gift shop, overlooks the Oriental Garden. Large indoor play area with bouncy castle, slides, ropes, soft play area and ball pools with childrens parties catered for Open: Weekdays 10am-5pm Weekends 10am-2pm We are closed Christmas Day, Boxing Day, New Years Day and all other Bank Holidays. Childrens Soft Play Centre 0 - 10 years (approx) Height Restriction 1.40 metres Admission: £3 per hour per child £4 unlimited play Opening Times: 10am to 4pm Tuesday to Sunday. The Pennine Bridleway offers horse riders, cyclists and walkers the opportunity to explore 205 miles of the Pennines' ancient packhorse routes, drovers roads and newly created bridleways. Admission: Free to visit. Opening Times: Public space, always open. Join us as we journey for seven miles from the delightful coastal village of Ravenglass through two glorious valleys to the foot of England’s highest mountains. Heated Open Air Swimming Pool Visit The Highest Open Air Pool In England Are You Brave Enough! We have a 25m and toddler pool, separate changing rooms, showers, free use of floats etc and a fully stocked shop. Qualified LIFE GUARD ON DUTY at all times. The South Tynedale Railway operates steam and diesel hauled passenger trains along a two foot narrow gauge line which travels through the scenic South Tyne Valley between Alston in Cumbria and Kirkhaugh in Northumberland, a journey of 2¼ miles in length. Soft play centre in the heart of Bowness. Watch your children have a great time whilst you relax in our lounge and enjoy the spectacular view over the lake. Admission: We've heard around £5 per child. Opening Times: Daily 10am to 6pm! The Pools Swimming and Health Centre is located on James Street, only 5 minutes from the centre of Carlisle and offers a huge variety of activities for all ages. The Centre boasts 3 heated swimming pools, A 25m pool, 20m and 10m. Welcome to the wonderful county of Cumbria. 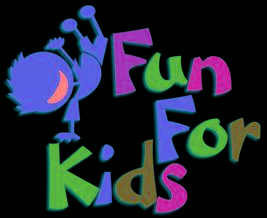 If you need child friendly ideas where to take the kids, kids days out, or fun things to do with the kids in Cumbria then we can help. We have family pubs with kids play areas, soft play areas, indoor play areas, outdoor play areas, playgrounds, aquariums, castles, stately homes, children's clubs such as Scouts, Cubs, Beavers, Brownies, Guides, youth clubs, activity centres, Air, Sea, Army Cadets. We list children's entertainers in Cumbria if you are planning a birthday, cinema, theatre, petting zoo, animal farms, children's farms, leisure hire, museum and art gallery, nature areas such as parks, and countryside walks and beaches. We have kids activities related to outdoor pursuits and sports such as swimming, ice skating, ten pin bowling and football centres. We list theme parks and Adventure Parks in Cumbria too. If you are looking for zoos with more exotic animals then we have them. Don't forget to look at the nearby counties of County Durham, Scottish Borders, Dunfries and Galloway, Lancashire and North Yorkshire to see what they can offer you. We now list seaside towns in Cumbria , so grab your bucket and spade and head for the Cumbria seaside with the kids. 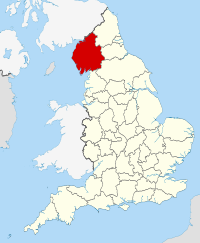 We have days out with the kids in Cumbria in and near :- Abbeytown, Aikshaw, Aikton, Aldoth, Allerby, Allonby, Barrow in Furness, Bowness-on-Windermere, Carlisle, Isle of Walney, Kendal, Penrith, Ulverston, Whitehaven and Workington.